As much for the rationale that the ice-cubes in your mineral water were made from the Thames anyway, as to assert our freedom to stand up snotty sommeliers, I went along with the campaign. Though mainly to slake thirst, and often a bottle of mineral water would be ordered too. Water is water, water is good, get two litres in somehow, right? But it rather sat in the background, as it in the photo above. I didn’t really consider the impact of what was in the water glass on the food that I was ordering, or how it might factor into the whole dining experience. Then I met Andreas Larsson. S.Pellegrino are probably best known for their eponymous mineral water rather than for their non-carbonated Acqua Panna plus more recently they sponsored the World’s 50 Best Restaurants. Andreas, World Sommelier 2007, works with them amongst other clients, as a taster and consultant. It’s not an exaggeration to say that this is a man who loves his job. And why wouldn’t he? Andreas is affable and obviously thrives on communicating and teaching about his passions – food, wine and taste. I suppose his services are increasingly required as we move through rolling stages of what he calls ‘gastronomic refinement’ – when a food and its market moves from being niche or undiscovered and graduates to encompass increasing levels of speciality, as has happened with coffee and olive oil in the past, for example. Feeling a touch self-conscious, we set about tasting and comparing tap water, both S.Pellegrino waters and red wine, white wine, champagne and port. We tried canapés, garlic prawns, rare beef and pastry desserts. Though I guess we wouldn’t have been invited along if there wasn’t a story to tell, it turned out to be fascinating. We started with champagne – so a mouthful of bubbly, chased with Acqua Panna which is described as ‘smooth’ or ‘velvety’. The light fruity and citrus flavours of the champagne still lingered. Another sip and we brought out the S.Pellegrino. In direct contrast to the still, it acted like a palate refresher and all traces of the champagne disappeared. And the tap water? Well, in the context it didn’t fare well. Overwhelmingly chemical and it had to be chased away with mineral water. We moved on to harmonising with food. Essentially Andreas would suggest that you consider your water order as carefully as your wine – why spend time and money on a special bottle only to wash away the tastes with a heavily carbonated water, or one that doesn’t stand up to robust flavours? As a very general guide, pick a (gently) carbonated water to live up to reds and red meat, and don’t drown your Chablis and seabream. Again it was interesting to see how the beef and a burgundy benefitted from the S.Pellegrino while the Acqua Panna was very soft in comparison. All in all, it was an intriguing experiment. I can’t promise to always live to Andreas’s standards, I’ll certainly try to consider water choices when eating out in future. It’s all part of the ongoing food education – and it was a delightful afternoon. We were tucked away upstairs in Hush for the session, and thanks to Jo and Sarah at Grayling for organising. A water sommelier? LOVE IT! Fascinating! As someone who always drank a lot of tap water growing up, regularly from 4 different towns during the course of one week (complicated childhood!!) I’ve always been very aware of the differences in the taste of water. My personal favourites are Evian and that one my office used to have (forgotten name, blue label, still) and I dislike Volvic. I first really noticed the difference in waters when I worked for a crazy woman who would have a conniption if she was brought anything but Evian – but Inever really thought about how it factored into a meal…. Totally agree about Volvic too! Hi Gail, I got invited for this but it was unfortunately in the afternoon and couldn’t take the time off. 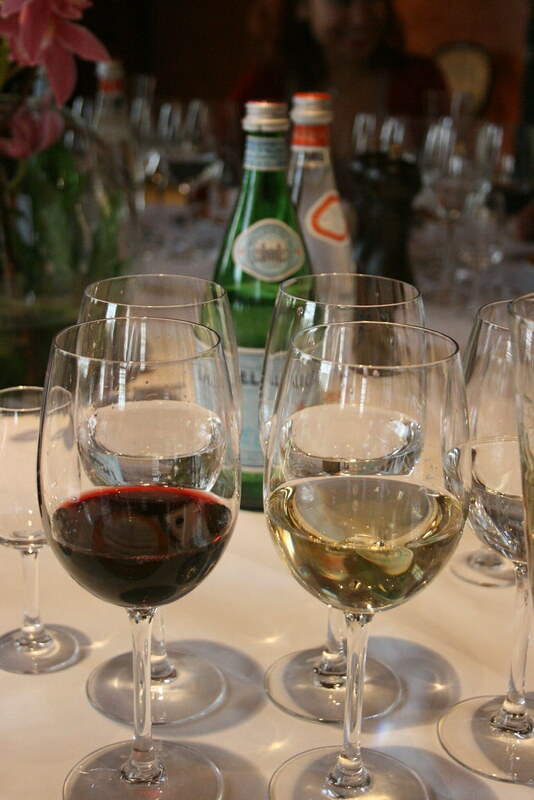 It seems to have been a very interesting event, I had never thought of water in conjunction with my wine or food but I can see the point of the gently carbonated water.